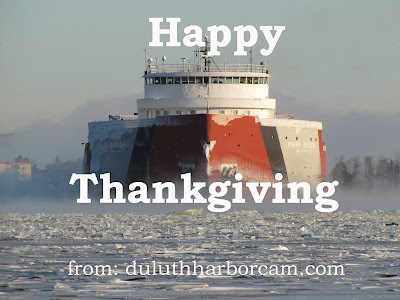 Duluth Harbor Cam: Happy Thankgiving! You too Dennis. I love the hillside camera on the harbor views. Thanks. Happy thanksgiving Dennis! Hope you have a great day! Happy thanksgiving to everyone in the Northland from a fan in Ohio! Thanks Dennis. Many blessings back at you. Your website makes my life better. 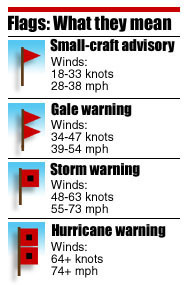 You are so lucky to live in the Duluth area. Thanksgiving Blessings to ALL who are lucky enough to call the Twin Ports home and to ALL who are a part of the Twin Ports through the eyes of Dennis and his wonderful harbor cams! Thanks for pointing out this salute by the Captain. Happy Thanksgiving to you Dennis. Your camera'a bring a lot of joy into my life. I go to your website many times a day. I am very grateful to God for you. Thanks Den for ALL THAT YOU DO YEAR ROUND!! Thank you for bringing the harbor into our homes; for that I am grateful. Happy Thanksgiving!